Editor’s note: this article originally appears on the Foreigh Policy Association website. The Kuwaiti newspaper As-Siyassah is reporting that Hizballah Secretary General Sayyed Hassan Nasrallah has been invited to Ankara to meet with Turkish Prime Minister Recep Tayyip Erdogan. Neither Hizballah nor the Turkish government have confirmed the story, but if it is true, it marks a significant deterioration in Turkey’s relationship with Israel in the wake of last month’s botched flotilla raid. Hizballah is one of Israel’s greatest foes, and Erdogan inviting its leader for a high-level meeting would show that the once close bond that existed between the two countries is in worse shape than most people previously thought. Relations between Turkey and Israel have been strained lately, stemming from January 2009’s Operation Cast Lead, in which Israel assaulted Hamas forces in Gaza, killing hundreds of Palestinian civilians in the process. Turkey’s ruling AKP party is said to be more Islamic in nature than previous regimes, and it has been increasingly difficult for the party to maintain close ties with Israel, which many Muslims consider to be waging war on the Palestinians. The result is that the AKP benefits greatly both regionally and domestically when it takes sides against Israel. Asharq al-Awsat’s Tariq Alhomayed characterized Turkey as “pulling the rug out” from under Hizballah and Iran in terms of supporting the Palestinian resistance, but it is unclear just how much this popularity contest actually means to either party. 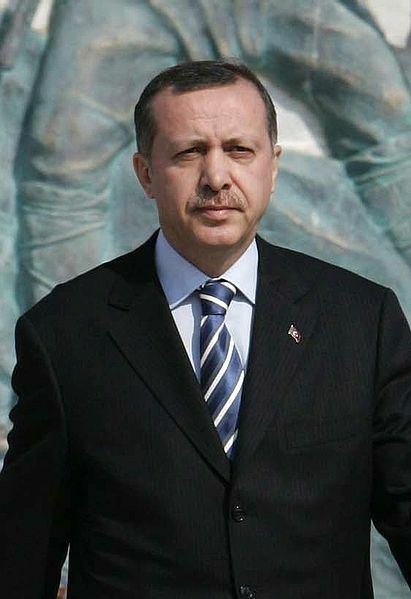 Mr. Alhomeyed’s statement was made in regards to Turkey’s stern condemnation of Israel after the flotilla raid. Turkish television’s NTV reported that the alleged future meeting between Nasrallah and Erdogan was suggested by Hamas’ leader-in-exile Khaled Meshaal. 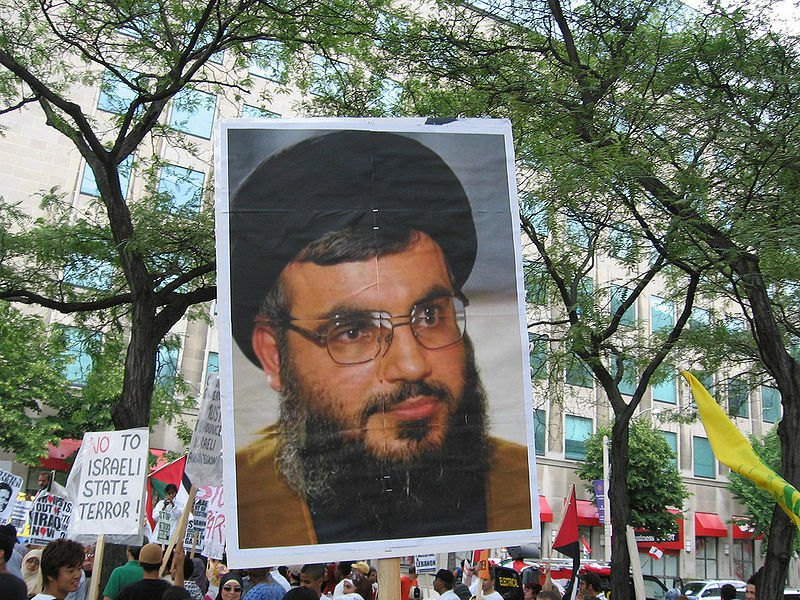 The report also stated that Iran’s Revolutionary Guard Corps would facilitate the logistics of Nasrallah getting to Ankara, out of fear of IDF assassination attempts. Such a summit between Erdogan and Nasrallah would further represent Turkey’s reassertion of power in the region, as it tries to maintain productive ties with the West while also embracing its post-Ottoman role in the Middle East. If Erdogan welcomes Nasrallah to Anakra, Tel Aviv and neoconservatives in Washington will no doubt be furious, as such a meeting would indicate Turkey’s continued alignment with the Resistance at the expense of Israel. Editor’s note: this article originally appears on the Foreign Policy Association website. Lebanese Prime Minister Saad Hariri’s recent three day visit to Ankara to meet with his Turkish counterpart symbolizes both the emergence of Hariri out from under the shadow of his father’s legacy, as well as Turkey’s emergence as a major diplomatic player in the Middle East. Rafik Hariri was a self-made billionaire with friends in very high places, including the President of France and the King of Saudi Arabia. He used his wealth and influence to help rebuild Lebanon after the civil war (1975 to 1990), and his achievements endeared him to a broad swath of Lebanese who had become accustomed to distrusting anyone outside of their sect. After his assassination in 2005, it was unclear if anyone could fill his shoes. After his older brother, Bahaa Hariri, decided to shun politics and remain in the business world, it was Saad that stepped forward to claim his father’s legacy. Saad wasn’t exactly a novice, but he certainly hadn’t yet developed his father’s political acumen, and some thought he never would. However, in the past few months, Saad Hariri has shown himself to be a pragmatic and savvy operator both within Lebanon and without. This is no small feat considering the extreme complexities of the Lebanese political scene as well as that of the greater Middle East. In the past seven months, Hariri has been elected Prime Minister, formed a government, and reconciled with Damascus. This last item is very important, as Syria almost totally surrounds tiny Lebanon and is still extremely influential there both economically and politically. Inside Lebanon, Hariri has gained the approval of a broad section of Lebanese political groups, including Sunnis, Christains, Druze, and Shia. Outside Lebanon, Hariri has managed to win the support of diverse players such as Syria, Iran, the European Union, and the United States. Now add Turkey to this list. Hariri has announced that he plans to ink deals with Ankara across an array of sectors, including military, culture, energy, and transportation. And in an effort to boost tourism and business between the two nations, Turkey and Lebanon will be eliminating visa requirements. This move reflects a greater openness in travel between Turkey and the Arab world, with Turkey signing similar agreements with Libya, Morocco, Tunis, Jordan and Syria. Turkey also has announced plans to do the same with Iraq in the future. Of the agreements on the table between the two countries, the one regarding energy is one of the more interesting. Lebanon has long been plagued by energy shortages, and Turkey could play a big role in alleviating the problem. This prospect is even more exciting for Lebanon if the proposed Nabucco natural gas pipeline is completed. Hariri’s trip to Ankara has revealed him to be an effective successor to his father’s diplomatic legacy, and the benefits of the deals he is signing could pay economic and political dividends for Lebanon for years to come. For Turkey, the agreements with Lebanon represent the latest in string of diplomatic deals that have strengthened that nation’s ties to its neighbors in the Middle East. In the past, Turkey’s relations with its neighbors had been sour due to post-Ottoman Arab nationalism. Now it seems like many of these nations are putting aside history in favor political and economic advancement. Some have indicated that this shift has occurred in the wake of Turkey’s decades long rejection by the European Union. However Turkish leaders would be quick to point out that Turkey is still close with the EU and is merely trying to be friendly with every nation where doing so would benefit Turkey. What is evident though is, as Turkey’s relations with its Muslim neighbors have flowed, its relations with Israel have ebbed. Turkey, a regional powerhouse, is one of the only Muslim nations to keep open an embassy in Tel-Aviv. In the past, Turkey has attempted to broker peace deals between Syria and Israel as well as prisoner swaps between Israel and Hamas. These days however, relations between the two are strained. A year ago, Turkish leaders loudly criticized Israel for its behavior for its brutal assault on Gaza. During a joint press conference with Hairir this week, Turkish Prime Minister Recep Erdogan condemned Israeli aggression against Lebanon as well as its refusal to adhere to UN resolution 1701, which calls for Israel to respect Lebanon’s sovereignty. Relations between Israel and Turkey took another turn for the worse this week, when Israeli Deputy Foreign Minister Danny Ayalon called in Turkey’s Ambassador to Israel Oguz Celikkol for a public dressing down over a Turkish television show that Ayalon felt portrayed Israel in a negative light. Some analysts have suggested that the move was intended by the opposition to torpedo any deal being made between Turkey and Israel’s Defense Minister Ehud Barak of the Israel’s Labor Party during his upcoming visit to Ankara. One thing that is for certain is that a significant shift is taking place in the Middle East, with Turkey at the helm. The question is whether this is a positive development or a negative development. Greater cooperation in the region could lead to greater economic prosperity, and the easing of trade and travel restrictions could lead to greater mobility of people and ideas. Hopefully the participating nations will have a good influence on each other. In the West, the rise of Turkey on the world stage should be seen as a breath of fresh air. Turkey and counties like the United States might not agree on everything, such as the behavior of Israel, but the positives greatly outweigh the negatives in the situation. One, the rising influence of moderate Turkey could provide a nice regional counterbalance to Iran. Also, Turkey could serve as an effective negotiator to conflicts in this volatile region. Finally, it might be nice to have a secular democracy like Turkey wield its influence on its neighbors instead of the despotic regimes of the traditional Middle Eastern powers of Saudi Arabia and Egypt. Turkey was a world hub for culture and trade for centuries. Perhaps, after a hundred-year decline, it is ready to regain that title.